Books, Gifts, Art Supplies, Toys, Office Supplies & Services. 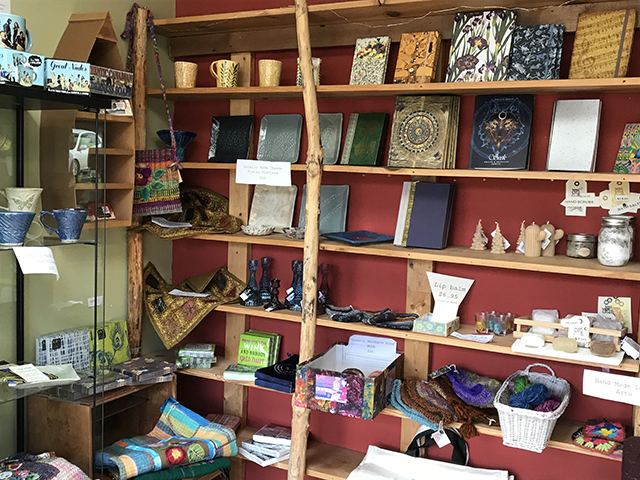 Abraxas is an essential hub for the Denman community of artists, writers and gardeners, and a must-stop for visitors. 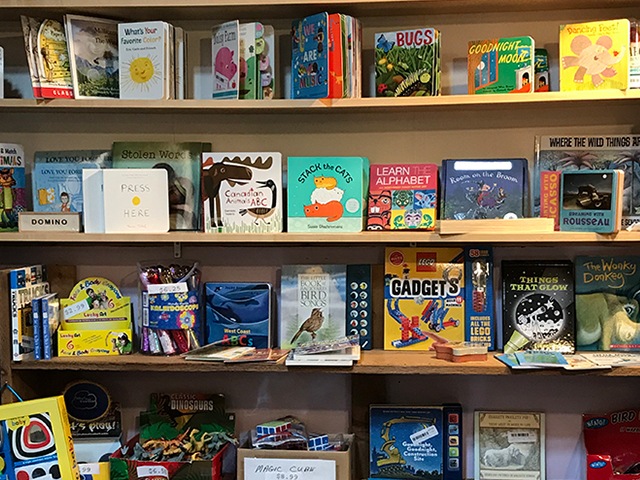 From books to art supplies to children’s toys and activities, to local art work, gift items, and access to a variety of services, this little shop is packed with things to see and do. 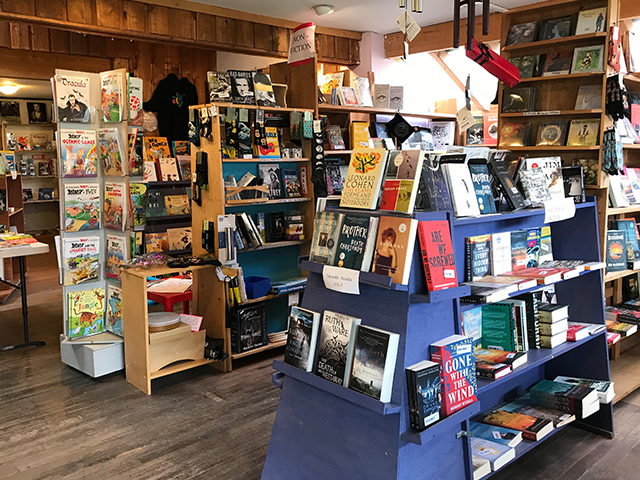 Abraxas carries a wide variety of books from global bestsellers to local authors. 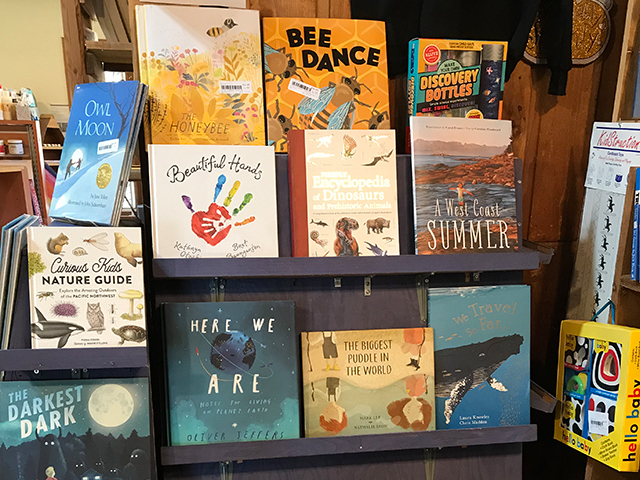 Recently expanded sections on spiritually, personal development, the arts, non-fiction and children’s books, colouring and activity books. 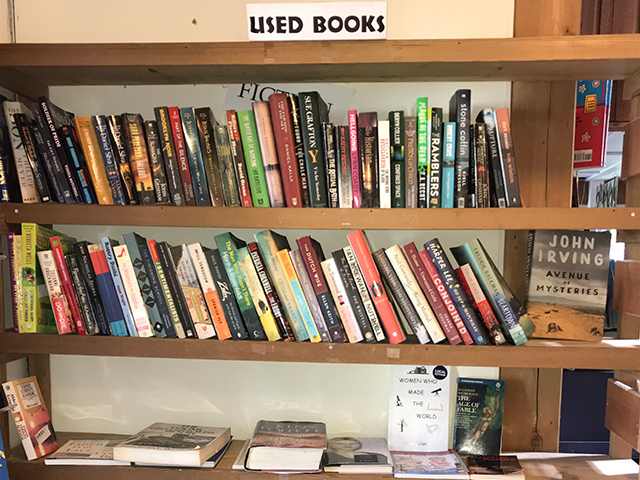 Also a great selection of used books! Plus books from the Reader’s & Writer’s Festival. 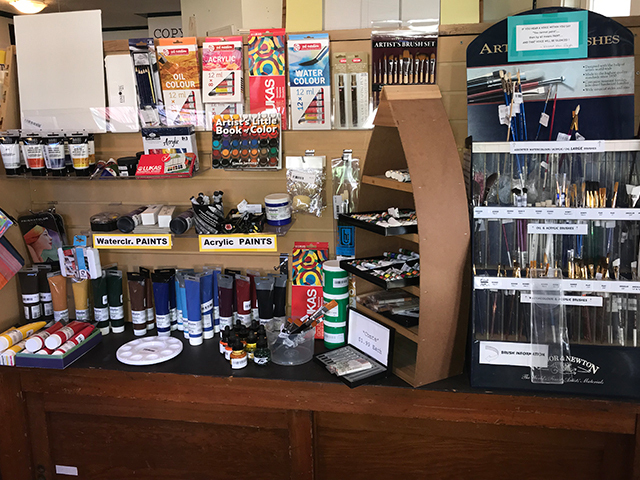 Owner and trained artist Tachi can help you choose the best art supplies for your needs. 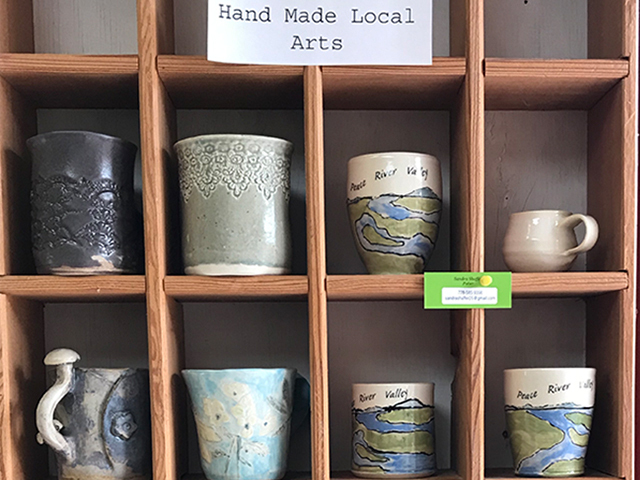 Locally made arts and crafts and whimsical gift items including: Pottery, knitwear, paintings, art cards, graphic socks, Denman Island chocolate, beauty products with organically grown oils and scents, T-shirts, candles, incense, greeting cards, tarot cards, wind chimes, bath salts, Island-made jewelry… And so much more! 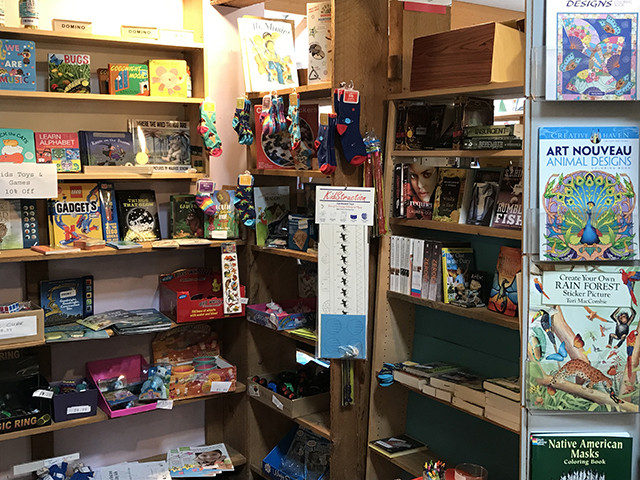 Books, Toys, Puzzles, Games, Colouring & Activity Books, Modelling Clay & other Craft Supplies, and more. 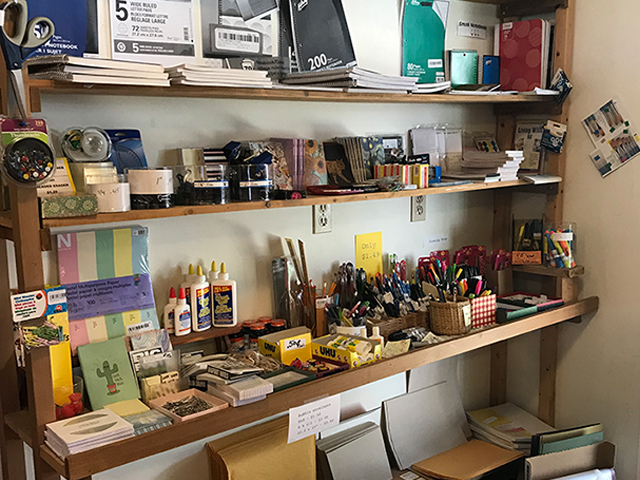 Calendars, notebooks, paper, card stock, pens, pencils, coloured pens, erasers, glue, glue sticks, white out, paper clips, push pins, sticky notes, envelopes, tape, and more. 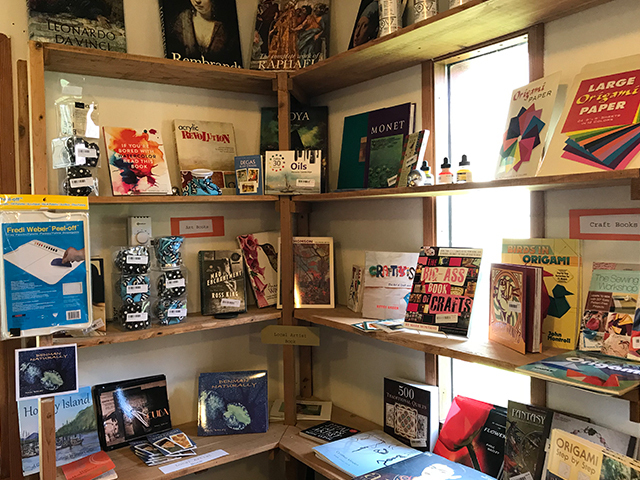 Abraxas can special order most books into the store within a few weeks – with no shipping cost to you! 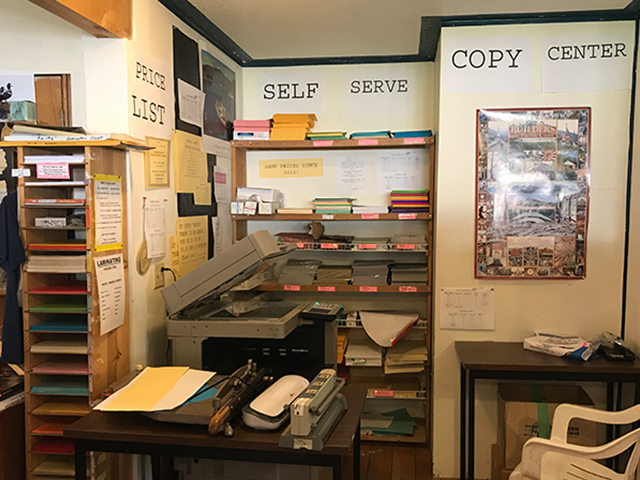 Abraxas is home of the Denman Island Free Post – where islanders can leave mail for each other in folders and skip the stamp! 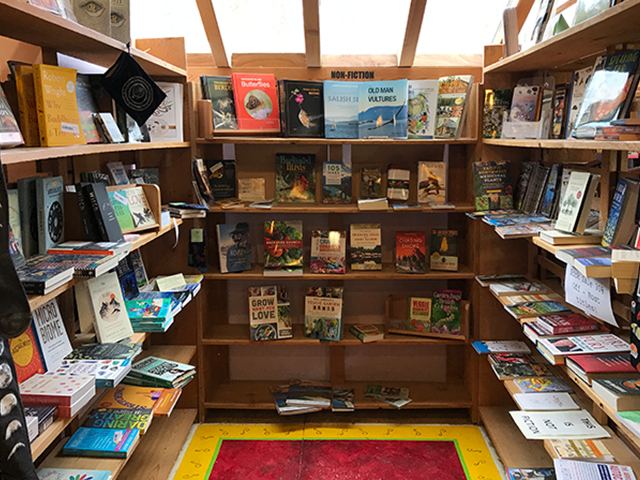 Just inside the front door you can find local maps, brochures, and local newspapers The Islands Grapevine and The Flagstone. Abraxas often helps out the local event committees by having tickets available for purchase at the store. 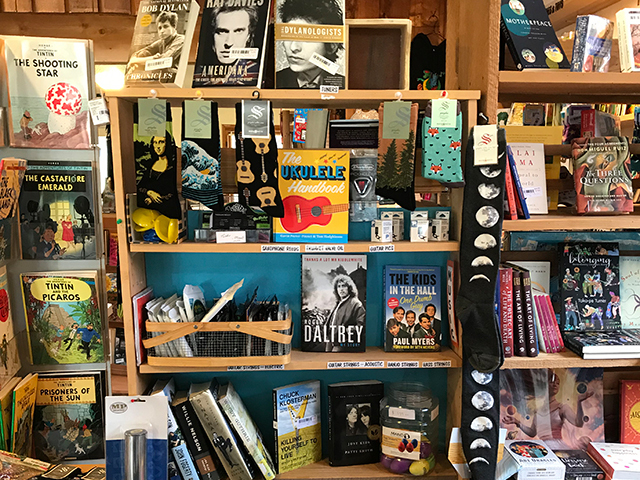 Abraxas participates in December’s Moonlight Madness and is a key location during July’s Reader’s and Writer’s Festival. Check for scheduled book launch and books signing events! 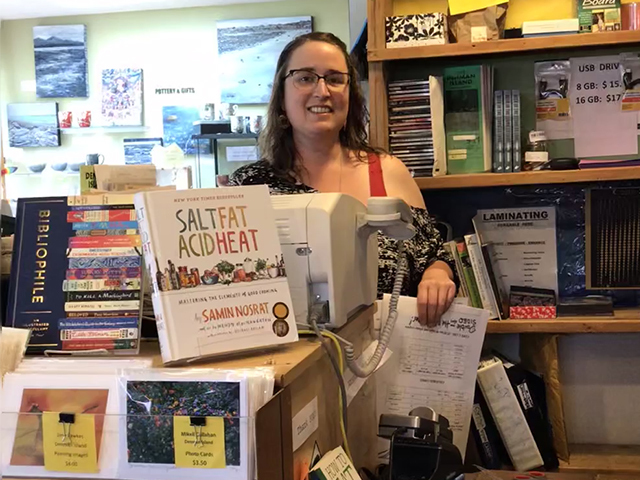 Owner Francesca Barker (locally known as Tachi) is a book lover and artist. She is the second generation of her family to own and operate the shop, which opened in 1993. 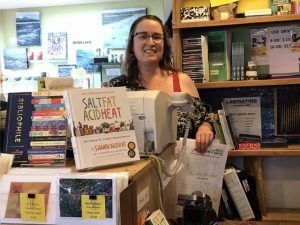 You’ll find her in the store most days, but she may also be working at her other shared business: The Curve – a coffee and snack cart at the Denman West (ferry back to Buckley Bay) terminal.